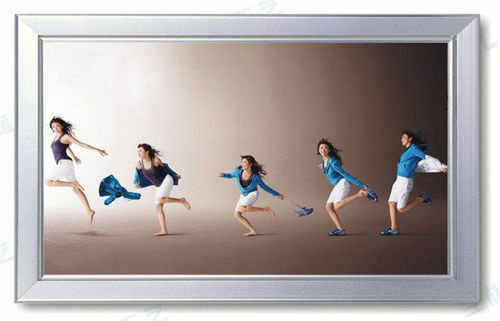 With the main objective of customer satisfaction, we have brought Aluminum Lit LED Frame for our customers. Their easy to change graphics, mobility and slim feature makes them exceptional which is a reason why our customers prefer us over our patrons. Their supreme designs, quality raw material, available size options, zero maintenance and corrosion free base makes them highly reliable and demanding. Established in the year 2010, Lakshya Signages is one of the well known Manufacturers and Suppliers of Backdrop Stand, Bridge Banner Stand, Commercial Canopy, Catalog Stand, Clip On Frame, Cut Out Stand, Easel Wooden Stand, Edge Lit LED Frame, Advertising Flag, Poster Stand, Promotional Table, Que Manager. These offered products are widely demanded in the industry and are manufactured using high grade raw materials. After the manufacturing, these offered products are checked on the parameters like strength and durability. Though we have footed in this industry recently, but the glory and praise that we have achieved from our customers is beyond expectations. We have a well established infrastructure and the manufacturing team of our company makes these products using the latest technologies and premium quality components.